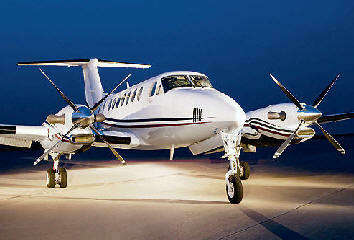 April 12, 2010 – Hawker Beechcraft will participate in Sun ‘n Fun Fly-in & Expo on April 13-18 in Lakeland, Florida. At which time the company will display that the Beechcraft King Air 350i, Beechcraft Baron G58, Beechcraft Premier IA business jet and their single engine Beechcraft Bonanza G36. Hawker Beechcraft display will be located at space MD8-A at the Lakeland Linder Regional Airport. • Premier IA – The Premier IA is the most advanced light jet with the world’s first certified composite fuselage. The aircraft offers customers an industry leading combination of speed, cabin size and efficiency, along with a new interior, upgraded avionics and a five-year warranty. • King Air 350i – Now equipped with the Rockwell Collins Venue™ cabin management system and state-of-the-art Beechcraft FlexCabin capability, the new King Air 350i sets the standard in cabin luxury, entertainment and flexibility while delivering unmatched fuel. • Hawker Beechcraft to Feature Popular Beechcraft Products at 2010 Sun ‘n Fun Fly-In – efficiency and the lowest operating cost per seat, making it one of the greenest aircraft available to business travelers today. • 50th Anniversary Baron – Combined with unmatched performance and range/payload capabilities in its segment, the special edition version of the current G58 model, the twin-engine that pilots aspire to own, incorporates elegant interior design features and amenities, a choice of four distinctive external paint schemes and high performance Hartzell Scimitar propellers. • Bonanza G36 – This aircraft is the most prestigious high-performance single-engine piston on the market, offering six passenger comfort and cabin flexibility not found in similar priced four-seat aircraft. The Bonanza G36 features Garmin G1000® avionics and a GFC 700 flight control system. Hawker Beechcraft Corporation is a world-leading manufacturer of business, special mission and trainer aircraft – designing, marketing and supporting aviation products and services for businesses, governments and individuals worldwide. The company’s headquarters and major facilities are located in Wichita, Kan., with operations in Salina, Kan.; Little Rock, Ark. ; Chester, England, U.K.; and Chihuahua, Mexico. The company leads the industry with a global network of more than 100 factory-owned and authorized service centers.